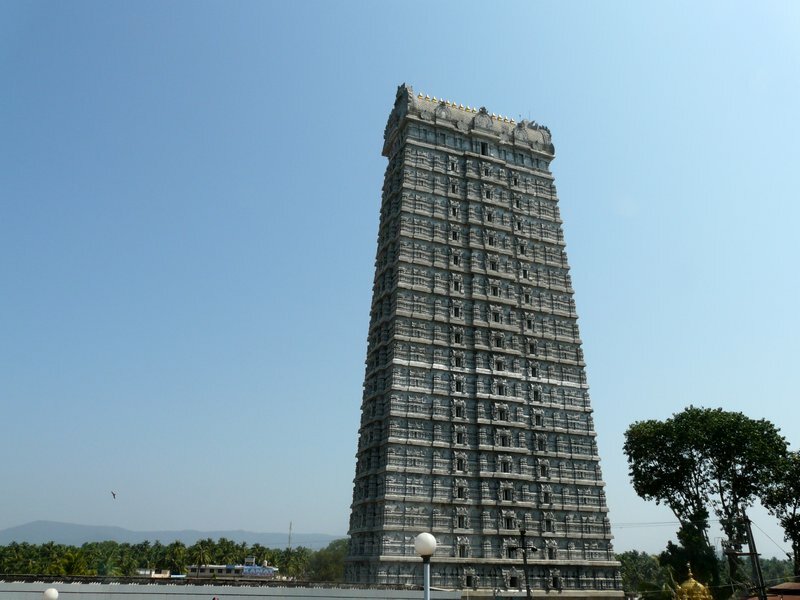 Murudeshwar is basically a small town for pilgrims located on the coastal areas of Karnataka. It is actually another name for Hindu God, Shiva and is therefore, famous for the tallest Shiva statue. 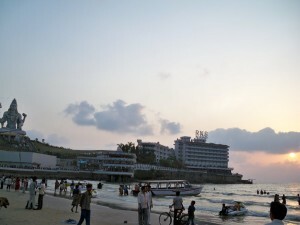 It is also a beach town that lies on the coastal parts of the Arabian Sea. This is a temple that is built in the Hill of Kanduka, and is surrounded by the waters of Arabian Sea on all the three sides. This is basically a temple that is dedicated to Lord Shiva. It is also accompanied by Gopura, which is a 20 storey building constructed on the temple. There are two life-size animals of concrete that stand guard at the steps. This fort is basically present behind the temple, and is considered to be renovated by Tipu Sultan. It is also visited by large numbers of people from different corners of the world, because of the historical importance. Since the entire place is dedicated to Lord Shiva, a statue of Shiva also makes this place interesting to visit. This is a huge towering statue, and can be viewed from great distances. 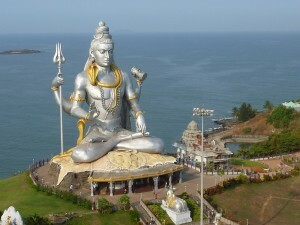 In fact, it is the tallest statue of Lord Shiva in the world. Murudeshwar Beach is one of the most popular attraction and relaxing zone after the Murudeshwar temple. One can see the colorful fisher boats lined at the sea-shore. Watching sun set is the most mesmerizing moment in this beach. There are plenty of activities to be done here among which diving is one of the most important activity. There are plenty of organizations that offer the opportunity to go for diving in the clear waters. There is also a small fishing village located near this center. other places nearby are Bhatkal, Idagunji, Kollur and Sirsi. It is not very difficult to reach Murudeshwar, because it is well connected by road, rail and air. Murudeshwar is about 166 kms from Mangalore and 384 kms from Bangalore. Plenty of buses are available from Bangalore, while the nearest railway station lies on the Konkan Railway. The nearest airport is Mangalore International Airport.